These burgundy fabric stack chairs feature a silver-vein frame. The silver-vein frame has a textured look. This chair features a 2.5" seat cushion and a 16 gauge steel frame. The plastic bumper guards protect the finish while stacking. 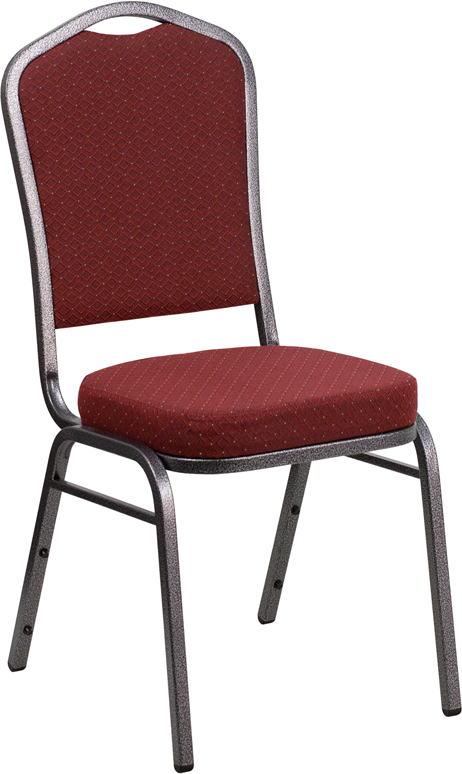 These are commercial grade chairs and can withstand hospitality, church, and other heavy duty applications. From Seat to Top: 20.5"